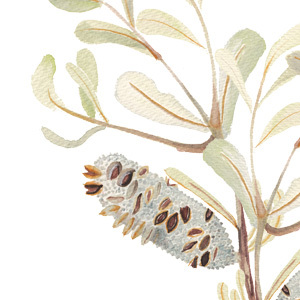 Fun fact: Banksias were named after Sir Joseph Banks who, in 1770, was the first European to collect specimens of these. The intricate spiky flower heads are made up of hundreds (sometimes thousands) of tiny individual flowers. The hard woody fruits protect the seeds inside from foraging animals and fire. Its crazy to think about, but in many species the fruits will not open until they have been burnt or completely dried out. 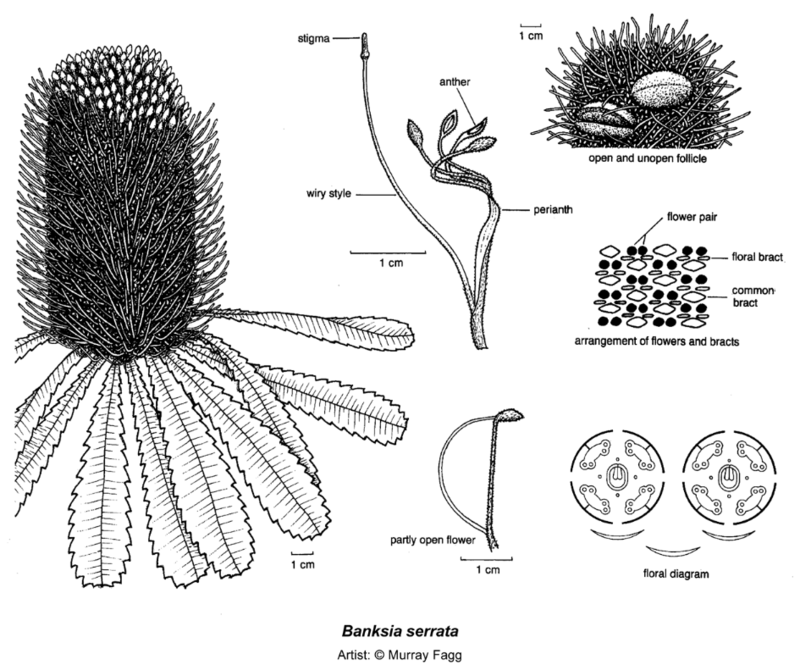 In fact, to propagate a banksia, the seed is released by baking it in an oven at 120°C for about an hour.